The high-power demands of future ships has the US Navy moving towards Medium Voltage Direct Current (MVDC) architecture to power propulsion, sensors and weapons. This requires knowledge of clearance and creepage distances for insulation in shipboard power systems, which is currently only partially known and understood. The project investigates breakdown mechanisms in shipboard power insulation under different conditions such as insulation contamination system fault, at medium voltage DC, which enables accurate calculation of clearance and creepage distances. One of the key factors, which determines the dielectric design of power applications, is the dielectric strength of insulation media. 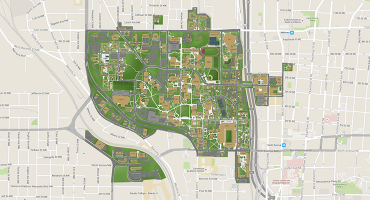 This project focuses on investigating the dielectric properties of gases that are used for cooling and insulating purposes. 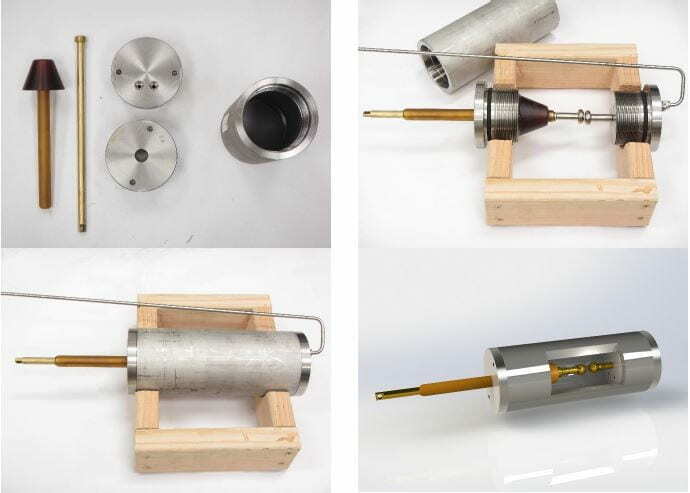 We use the Langmuir probe plasma diagnostics method to measure the dielectric properties of cryogenic gases and SF6 replacement gases for high temperature superconducting (HTS) power applications and ambient temperature power applications, respectively. 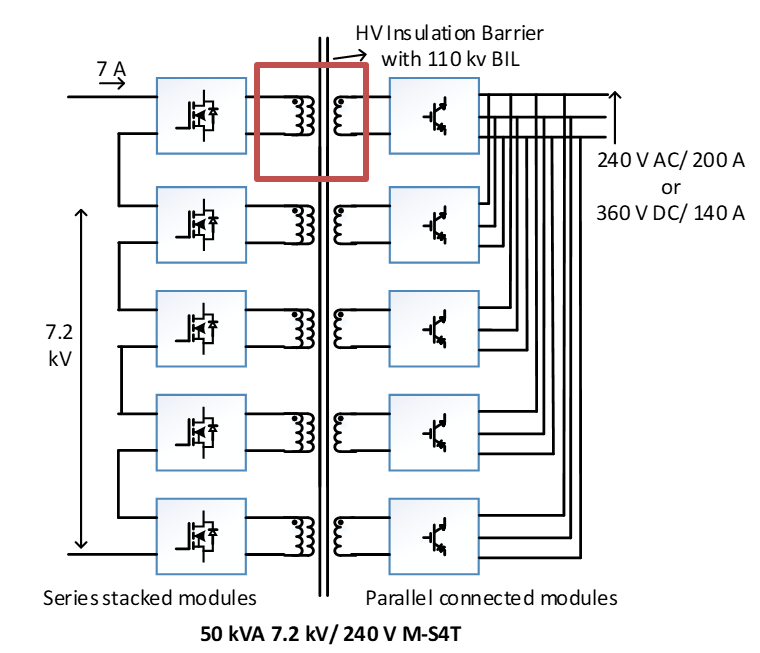 Ultra fast mechanical disconnect switches are an integral part of hybrid circuit breakers, which are proposed as protection devices to clear faults in medium voltage distribution systems. 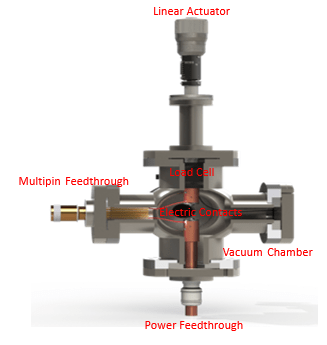 They operate in vacuum, carry high continuous current, opens at current zero, features minimum moving mass and has an open contact separation of less than a millimeter. The stresses experienced by the electrical contacts are different from those of conventional circuit breakers and vacuum interrupters and the choice of contact material has a significant impact on the performance of the disconnect switch. 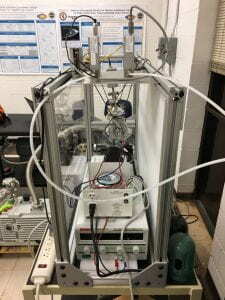 This project models electrical contact behavior in open and closed state and validates them through experiments. 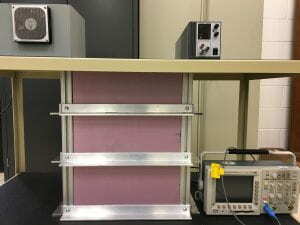 One of the major issues with vacuum power applications is cooling. This is because heat can only transfer via radiation through vacuum voids or conduction through conductors that are directly connected to the heat source. 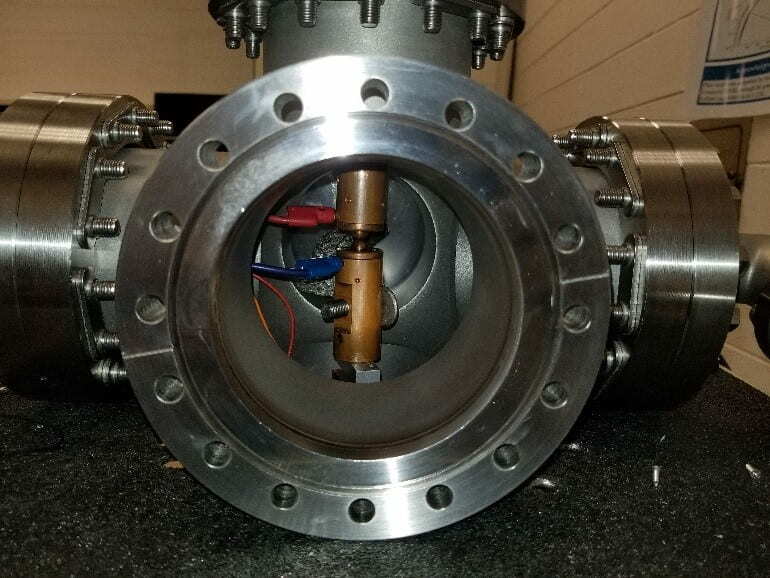 To enhance the heat transport efficiency, this project designs a new bushing, which incorporates convection, for vacuum power applications. 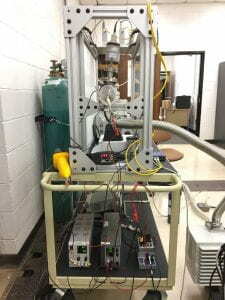 Design and Development of Impulse Current Generator to test Electric Contact Welding. As Ultra fast disconnect switches are used to increase interconnections between substations for improving the grid reliability and resiliency, they experience very high fault current levels. The electrical contacts of these switches must be capable of withstanding faults up to 30 kA for about 1 ms. 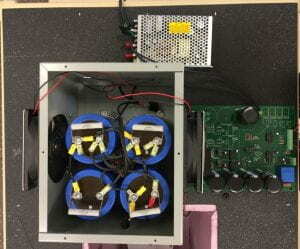 This projects consists of 3 undergraduate students and a PhD student mentor tasked to design and develop an impulse current generator to test different electric contact materials for their susceptibility to welding under fault current. Dielectric and Thermal Properties of Supercritical Fluids. In high voltage power networks, there is an ongoing discussion about replacing the dominating insulating medium – Sulphur hexafluoride (SF6). A large amount of research has been conducted to find new insulating media, but no promising alternative has been found yet. 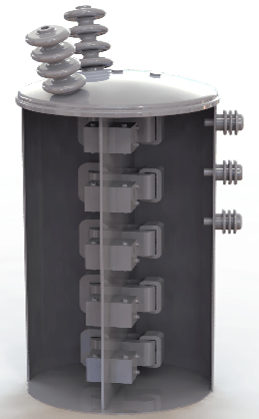 This project invests a new medium for high power switching: supercritical fluid. To investigate the breakdown capabilities of SCF, a high-pressure chamber is designed for this purpose. Based on the relevant experiment results, we expect that supercritical fluids have the potential to satisfy the requirements of switching medium. 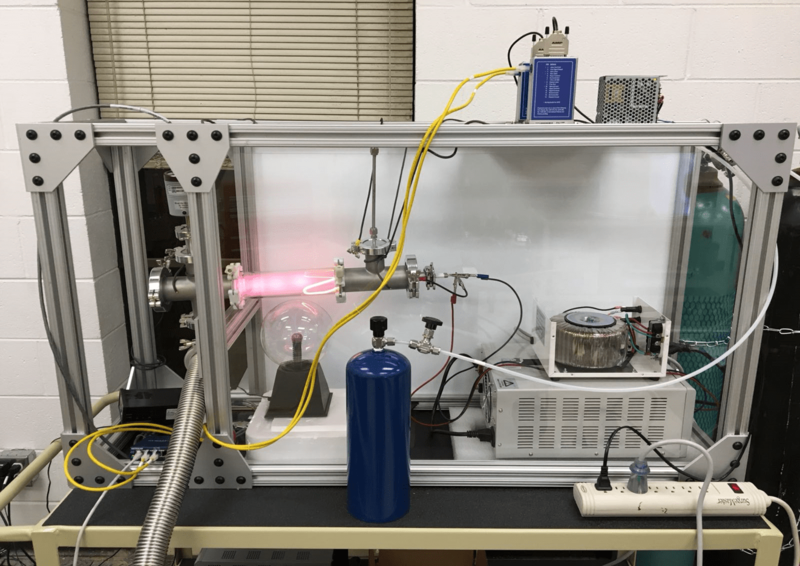 Superconducting power system efficiency suffers from heat influx from ambient if the power has to leave a cryogenic environment for power conversion before entering another superconducting device. A substantial share of the total heat leak is located at the interfaces between cryogenic devices and ambient temperature devices. Therefore, it is important to minimize the number of non-cryogenic power components. To do so, power electronic converters operating at cryogenic temperatures are required. 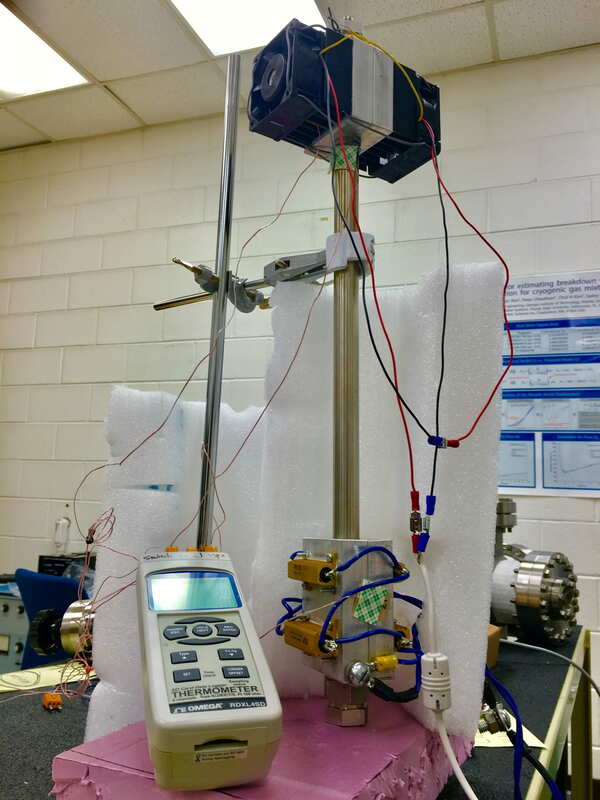 This project investigates the feasibility of using power electronic devices under cryogenic environments. Cryogenic switchgear plays a vital role in cryogenic power systems, to make the system more reliable, robust and flexible. Different from semiconductor devices, cryogenic switchgear has negligible on-state loss and higher breakdown strength. The interruption media for cryogenic switchgear can be cryogenic gas, cryogenic liquid or vacuum. Their interruption performances are being studied, novel structures and actuation mechanisms for cryogenic switchgear are also considered.